This piece is 100% hand-painted. It is not a reproduction. 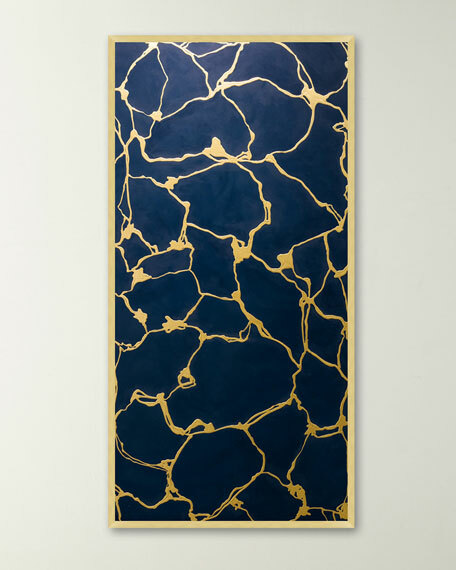 It features a rich navy painted base with fluid, hand-applied gold leaf lines. 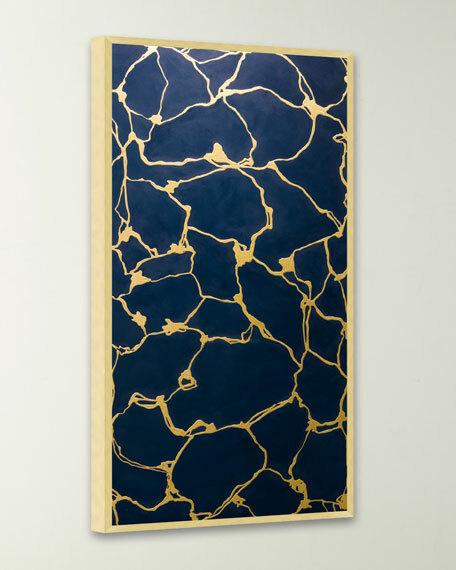 The artwork is designed with a gold shadowbox frame that complements the gold leaf accents in the art. Handcrafted original painting on canvas. D-rings on back of art for hanging. 36.8"W x 2.1"D x 72.8"T.
Weight, 37.1 lbs. Boxed weight, approximately 42.1 lbs.